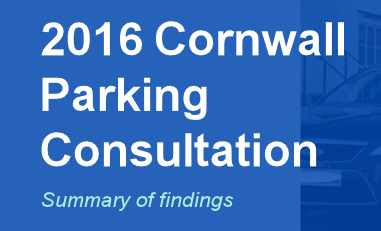 These were the results of the Council's Parking Survey. They were discussed at a meeting of the Transport Portfolio Advisory Committee in May. I suggested that we look first at what might help the three towns most badly affected by parking problems, rather than the Council working up proposals for all nine towns at the same time at great expense and which may suit nobody. But this was rejected. Proposals are now being worked up for all nine towns. On 29th June Truro councillors will be told what are the proposals for Truro. The total exercise, including working up these initial proposals, but not implementing is to cost £250,000.